While the malayalam media has chosen to give much higher coverage to such weighty matters as the alleged mischief of the son of a minister or what another is twittering, an interesting article in The Sri Lankan Guardian brings to light how distant eyes are focused on the strategic issues in our midst. China, for its part, views Sri Lanka as a strategically vital gateway for securing access to shipping arterials in the Indian Ocean . Hambantota will be more than three times the size of Colombo harbour and is designed to serve as a Service and Industrial Port when fully completed, 14 years from now. It also has the potential to be developed into a major transhipment port. In addition, the port will be able to accommodate a new generation of mega-ships and is to include four terminals (12 berths), bunkering and refuelling facilities, liquefied natural gas refinery, aviation fuel storage facilities, bonded export processing zone and dry docks.As the main symbol of growing Sino-Lanka relations, the new Hambantota port (construction of which began in January 2008) will serve as a key transit point for oil and gas tankers accessing the Red Sea, Persian Gulf, Malacca Straits and the ports of Gwadar in Pakistan and Sitwe in Myanmar. Hambantota will also serve as a key maritime transit point to China ’s expanding investments among Indian Ocean island nations. All that sounds familiar doesn't it - transshipment, arterial shipping lanes, transit point for oil and gas tankers? Everything which is mentioned about Vizhinjam. China has realised that even though it is inferior to Vizhinjam in proximity to the sub-continent and natural depth, Hambantota could become one of the premier ports in the Indian Ocean region, which along with the South China Sea/Eastern Pacific, would become one of the world's most active maritime regions. 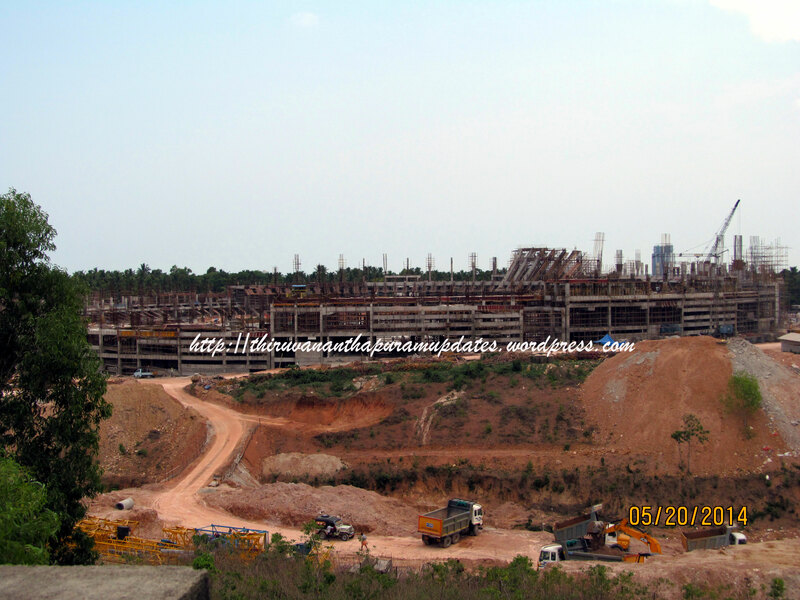 The Guardian clear mentions that Vizhinjam is perceived as the top competitor to Hambantota. If only our folks realised this sooner rather than later. Sri Lanka is said to have initially offered the project to India , which declined it for undisclosed reasons. One reason may have been political and commercial considerations, and India’s ambitions to upgrade its own ports in southern India , namely Vizhinjam, Tuticorin, and Cochin . Historically, there has been a fierce and longstanding rivalry between Indian and Sri Lankan ports, particularly Colombo , which dominates the region’s lucrative transhipment trade. The Sri Lankan authorities are worried that the Colombo port might lose the advantages presently enjoyed by it vis-à-vis the ports in South India when the construction of the Sethusamudram Canal and the work of modernisation of the ports in South India undertaken by the Government of India is completed.’ Such views do much to put the Hambantota port issue in context -- the facility will diminish India ’s ability to compete. Sri Lanka has realised what India should have realised a long time back, that a world-class, deep-water port located on the tip of the sub-continent has the potential to dominate the Indian Ocean region (including the Arabian Sea and the Bay of Bengal) just as Singapore dominates the Malacca Straits and Hong Kong has dominated the South China Sea. That these are two of the world's leading ports is a fact not to be easily ignored. There is only one Indian port which has the location and the draught to fulfil this role and that is Vizhinjam, which is already the deepest port in the entire Indian Ocean. Any further delay in developing Vizhinjam is now plainly at the risk of losing the numero uno maritime position in the region. The bounty of developing the Rs 8000 Crore deep-water port and transshipment terminal is clear, 200 ships already sail by daily with many more to come - one third of the world's maritime traffic, that is one heck of a bounty! Ajay, i believe we need to bring these details to the notice of our Mr. Tharoor, Antony, Vijayakumar, Achuthanandan and may be Manamohan. May be the central government can come in and help build the Vizhinjam port taking into account the stratergic importance as well as the benefits from this project. now that major hurdles are tided over and central sanctions are thru, the V port will take off - & will become functional soon. certain projects r unstoppable and grow from strength to srength. something tells me Vizhinjam, falls into that caategory.